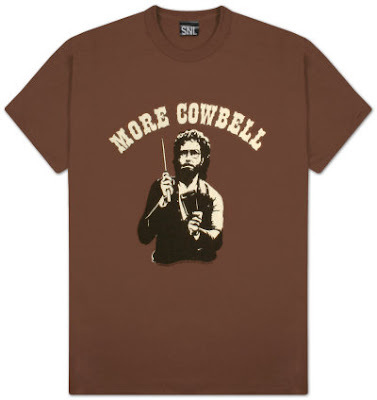 Since I've been known to rock the cowbell a little myself, I bring you this great site where you can add more cowbell to any song in your music collection. Classic!! The history of "more cowbell"
"I gotta have more cowbell"... "cal-i-FOR-nia" "ching, ching, ching"